The Environmental Protection Agency (EPA) and National Highway Traffic Safety Administration (NHTSA)on Thursday proposed that the nation’s costly and counterproductive fuel-economy standards remain at 2020 levels through 2026, abandoning President Barack Obama’s plans to raise them each year. Eliminating the standards altogether would be ideal, but this move is a reasonable response to the California Air Resources Board (CARB) trying to set standards for the whole country. CARB and its sister “blue” anti-Trump states constitute 35 percent of the nation’s auto buyers, and they are threatening to go their own way and impose the Obama-era standards if EPA ultimately enacts this proposal to relax the Corporate Average Fuel Efficiency (CAFE) mandate. 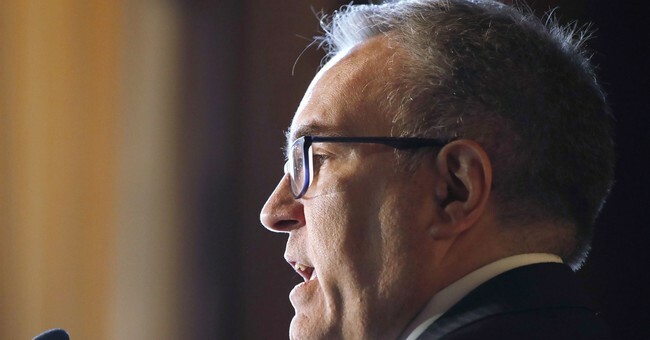 There is absolutely no reason, however, for Acting EPA Administrator Andrew Wheeler to abandon the leverage he enjoys in this important debate. Nowadays, every auto manufacturer competes in a worldwide automotive market, selling literally tens of thousands of different equipment packages based off a handful of production platforms. The watchword for auto assembly is “flexibility”—the ability to quickly and efficiently switch from one vehicle configuration to another and then back again on a moment’s notice. For instance, the compact Ford Focus car and Escape SUV are built using the same core platform and with the same cost to build out. This is also true for other full-line vehicle manufacturers. The United States’ fuel-economy standard is an average formulated based on two regions defined by the national government. This means that when CARB’s fuel-economy standards rise above the national average, fuel-economy requirements in the 37 states not affected directly by CARB—accounting for 65 percent of America’s automotive sales—necessarily fall below the new average. If EPA and NHTSA were to roll back the projected 39.36 mpg national standard for model year 2025 to, say, the 27.52 mpg standard for model year 2016—and should CARB be permitted to keep its requirements at the 39.36 mpg standard—it would lower the effective standard to 23.7 mpg for the 37 states not regulated by CARB. What if CARB were to react by raising its standard to 50 mpg, up from the current 39.36 mpg for California and the nation? That would drive down the requirement now in place in the other 37 states to 22.2 mpg, which is more than 5 mpg below the 2016 standard. Similarly, at 119 mpg—EPA’s rating for the Chevrolet Bolt and presumably CARB’s ultimate objective—the standard for other states would fall to 19.5 mpg, effectively repealing their standard and freeing them to get the performance, size, and safety consumers in those states want and are willing to pay for. Many more jobs would likely be generated as a result, as the factories in those states would be freed to meet the ensuing expansion in demand. Some argue fuel-economy laws are necessary to fight global warming, but they do nearly nothing to address the alleged dangers of climate change. Carbon dioxide is a plant nutrient, and temperate climate zones such as ours would benefit from longer growing seasons (assuming increased auto emissions result in warming, which would be very modest under all but the most extreme climate projections, and thus a benefit to the environment). Hold firm, Acting Administrator Wheeler! You are on the side of the angels!